A recently signed contract between the City of Madison and OneEnergy Renewables, LLC, a solar developer headquartered in Seattle, will result in the construction of five community solar arrays totaling 14 megawatts (MW) next year in western Wisconsin. 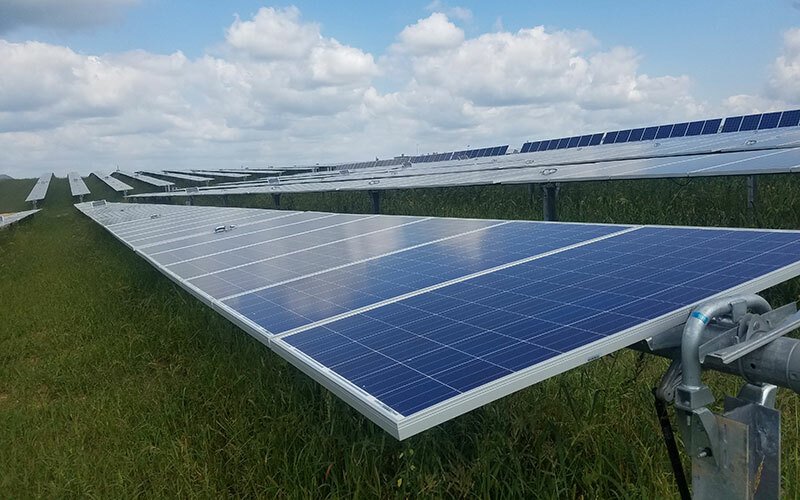 The City’s decision to provide financing to this project represents the largest commitment to date by a single Wisconsin customer to expanding solar capacity here. Expected to begin operating in mid-2020, OneEnergy’s five arrays should produce about 20 million kilowatt-hours of clean electricity a year over its operating life. That output equates to more than one third of the City of Madison’s own consumption. OneEnergy’s solar arrays will be built in the service territories of the municipal utilities serving Argyle, Cumberland, Elroy, Fennimore, and New Lisbon. These five utilities will receive the electricity at a price comparable to what they currently pay for wholesale power. However, under the city’s contract with OneEnergy, Madison will receive 25 years of renewable energy credits, or RECs, associated with the project’s output. The $1.4 million contract will move Madison substantially closer to its goal of sourcing 100% of the electricity used for city operations from renewable energy sources. Madison is one of three Wisconsin municipalities that adopted a 100% renewable energy goal. The others are Eau Claire and Middleton. Approved by Madison’s Common Council in July, the city’s REC purchase is an essential element in the overall financing for OneEnergy’s solar project. Though the power from the arrays will flow to five different municipal utilities, the agreed-upon purchase price will not, by itself, pay for the project’s full cost. But with the additional revenue stream coming from the City’s REC purchase, the developer should have no difficulty in securing outside investors to participate in the project. Madison’s action is the second major REC purchase by a Wisconsin customer to support the construction of community-scale solar projects. Last November, LaFarge-based Organic Valley Cooperative, the nation’s largest cooperative of organic farmers, entered into a similar arrangement with OneEnergy to purchase RECs from 12 MW of solar capacity serving another group of small municipal electric utilities. Through that transaction Organic Valley expects to reach its goal of being 100% renewably powered by 2020. Constructing both sets of arrays will involve only one mobilization of construction equipment and crews. 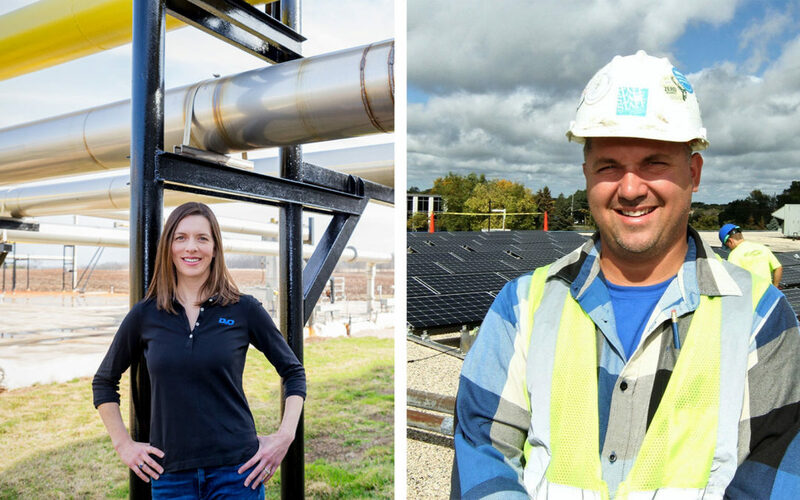 According to OneEnergy, combining the Organic Valley and City of Madison projects into one coordinated build-out will reduce construction costs, which helped make project participation more affordable for both the utility off-takers and the REC purchasers. OneEnergy is also developing a 4 MW project next to Middleton’s airport with the aim of supplying the City of Middleton and a Madison-area business with solar electricity. 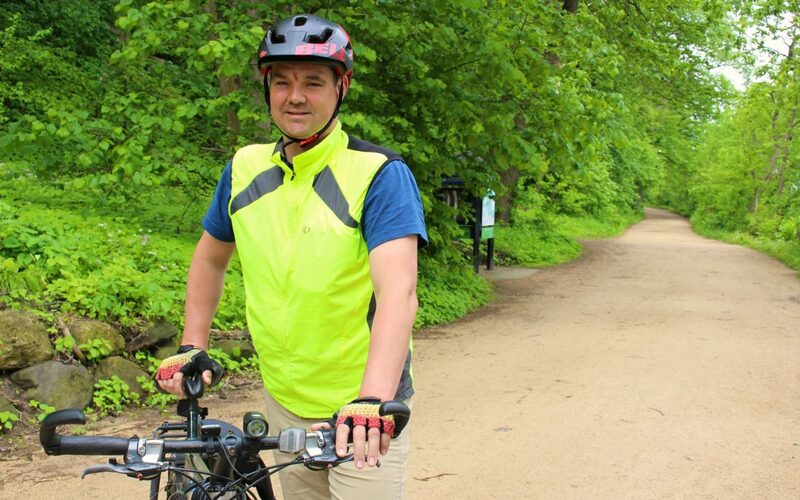 MADISON, Wis. – A University of Wisconsin-Madison professor is biking 2,000 km around the Upper Midwest beginning on July 28th to increase awareness of solar energy and raise funds for a solar energy project in Puerto Rico. The bike journey, known as #BiketheSun, will take James Tinjum, Ph.D., of UW’s Department of Engineering Professional Development to 50 solar energy sites across Wisconsin, Illinois, Iowa and Minnesota. Riding an electric bike prototype with a plan to bike 160 km per day, the trip will take Tinjum about two weeks to complete. Along with bringing attention to solar energy, the purpose of #BiketheSun is to raise funds for Solar Para Niños, a solar installation project at a non-profit shelter in Puerto Rico for abused children. The panels will reduce the shelter’s energy costs by as much as $1,000 per month, allowing the shelter to invest more money into educational and counseling services the children. The project will help provide long-term, sustainable relief after Hurricane Maria devastated the island last September. “Puerto Rico’s power grid was completely knocked out during the hurricane and electricity was not restored across the island for as long as nine months after. Renewable, distributed energy sources like solar will provide more resilient and reliable power, particularly for when another natural disaster occurs,” Tinjum said. Puerto Rico has the highest electricity rates in the U.S., according to Tinjum. Even though the island has excellent solar resources, it produces over 95 percent of its electrical energy by burning imported natural gas, coal and oil – which are not only expensive, but environmentally unsustainable. “With the installation and promotion of more renewable sources such as solar energy, institutions like the children’s shelter will substantially reduce their monthly energy bill, as well as move toward a more sustainable use of energy,” he said. Last summer, Tinjum embarked on a 2,000-km bike ride called #BiketheWind to raise awareness about wind energy, so he’s familiar with long trips triggered by good causes. To prepare for this year’s ride, Tinjum is biking upwards of 24 hours a week, getting in hours by biking to “everything,” including work, groceries and intramural soccer matches. Tinjum departs for his journey on Saturday, July 28 from Madison, Wisconsin. To keep up with his journey, visit solarparaninos.com/bikethesun and follow #BiketheSun on social media. Visit solarparaninos.com/donate to donate to the Solar Para Niños project fund.